Traxx Construction Products plans to display a host of new products at the Concrete Sawing and Drilling Association Demo Day and Convention being held at the Melbourne Showgrounds on Thursday 21st February from 9am to 5pm. Traxx will be showcasing and demonstrating UNICUT wire saws, high frequency wall saws and drilling systems from DEMCO. Traxx will be bringing some of the latest technologies from global brands in addition to a large range of Traxx designed and branded products. Cutting solutions from German manufacturer, Rellok include a range of speciality sawing machines, specifically designed for professional contractors. 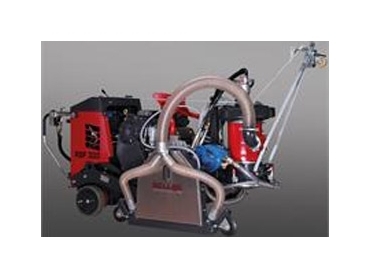 The range includes machines for joint cleaning and bevelling as well as the fully hydraulic floor saw range from 32kw to 85kw, with optional integrated vacuum slurry suction systems.